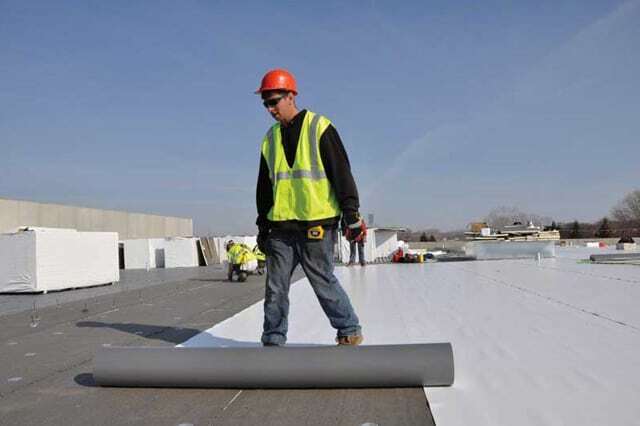 Single ply systems are a straightforward solution to complicated roof problems. Flexible sheets of specially engineered synthetic rubber are spread out over the surface. 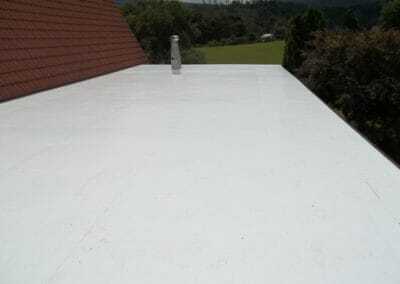 The single layer is sealed to your existing roof or onto a new roof installation base. This process creates long-lasting, unmatched leak protection and energy efficiency for residential, commercial or industrial structures. Plus, the look is exceptional. 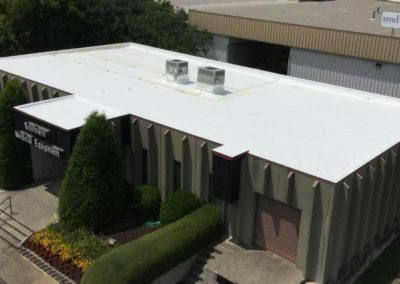 With a single ply system, you get a truly affordable re-roofing option that is the ideal upgrade for most low-slope or flat roofs. The cost is a fraction of the price of a replacement roof. The seams are 6 times stronger than those of an EPDM roof. 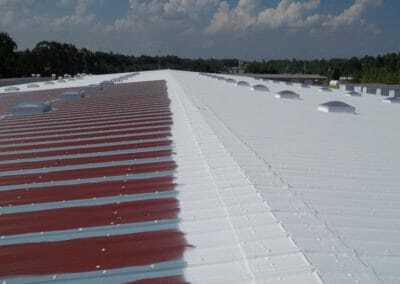 At Skyline Roofing, we offer single ply systems to customers with a variety of applications as an alternative option to complete re-roofing needs. It helps to provide a more cost-effective method of resolving a roofing issue and can aid in further securing an existing roof. Single ply roofing is durable in unforgivable climates and resistant to ultraviolet rays so it will not degrade. The white surface reduces energy costs in summer, helping to reflect the suns energy and minimize heat absorption. It can also help to earn local, state and federal incentives for energy efficient retrofits. It's incredibly fire resistant – using a Class A rated single ply system. No roof tear off expense leads to huge savings. No disruption to business in commercial and industrial applications. No significant weight added to your roof. Great insulation for saving energy and saving money. Mechanical fasteners are attached and sealed around the perimeter of the existing roof. Or, a process is used to create a vacuum that holds the sheeting in place. 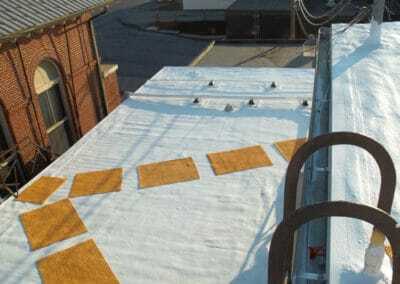 Skyline Roofing can also fully attach the system with adhesive.